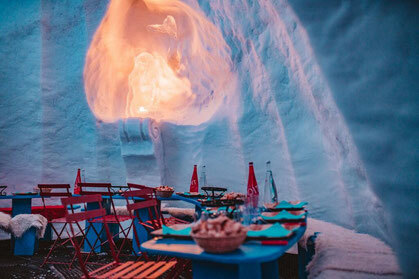 RESTAURANT IN THE IGLOO - Site de village-igloo-avoriaz-en ! 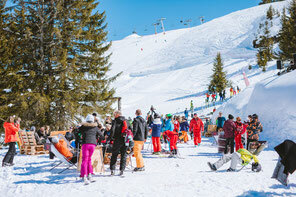 Prolong your ski outing and stay with us for a frosty aperitif! 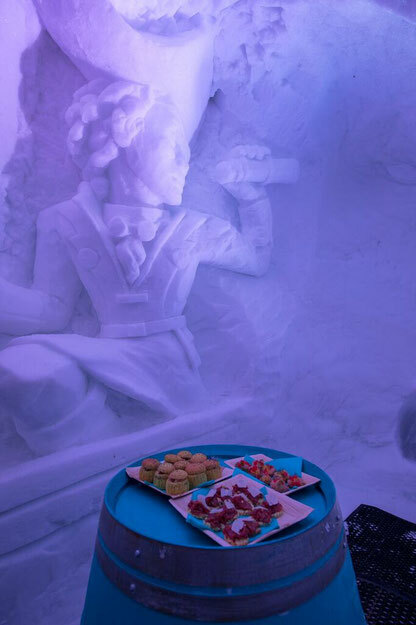 Our smiley and dynamic team welcome you into the heart of the giant igloo for an aperitif of local products! 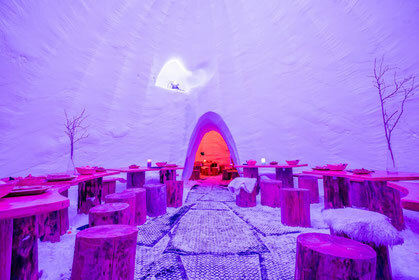 The inside of the igloo is kept at 0° degrees, so the seats are covered with animal skin to create a cosy vibe. Come quick, we're waiting for you! starts from 35€ per person (20€ for children under 10 years). If you want to spend an evening in a different kind of restaurant, don't hesitate to book a table now at the Village Igloo restaurant! Discover our quirky restaurant and enjoy a typical dish of the region with a savoyarde cheese fondue! 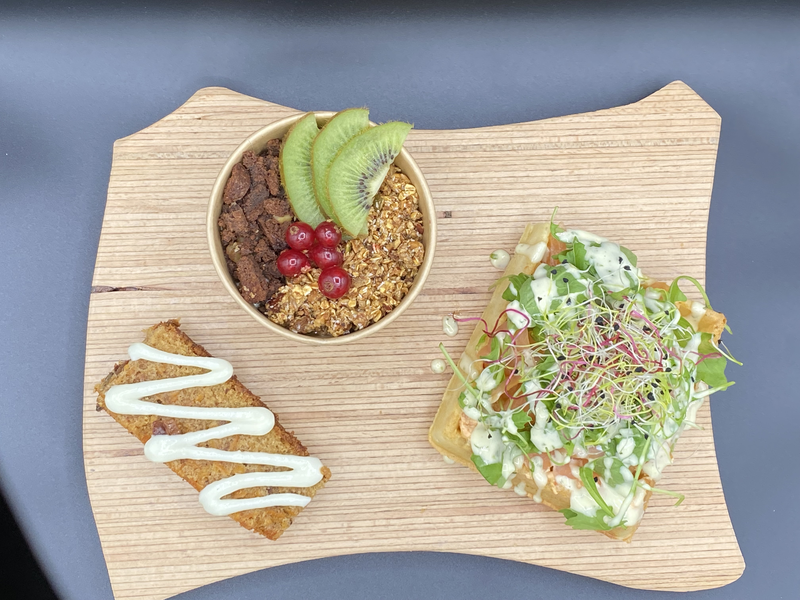 Come and share this delicious moment! Meet at the Prodains (3S) ski lift. A member of the Village Igloo team is in charge of getting you safely to the igloo at night, which is only a ten minute walk along a safe path, which crosses under the beautiful mountain trees.  After the short walk, which is accessible to all (60m D+), you will reach the igloo in the heart of the Avoriaz ski domain. You'll be wowed by the panoramic views! Possibility of hiring a snow vehicle on request. Our outdoor terrace is the perfect spot to share a true savoyarde cheese fondue on the slopes! 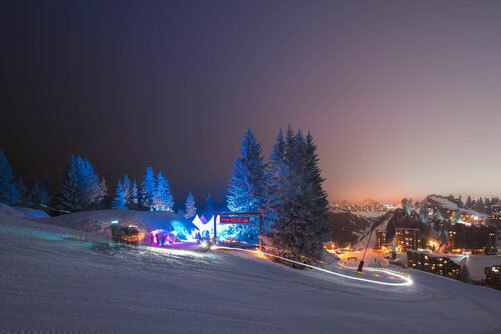 With a panoramic view of the ski station, please don't hesitate in stopping for a wonderful mid-ski break amongst friends. Available every Tuesday and Thursday lunchtime from 12:00 to 14:00. -mixed meats board 12 € per person. Have the most unbelievable night of your life that you will never forget! 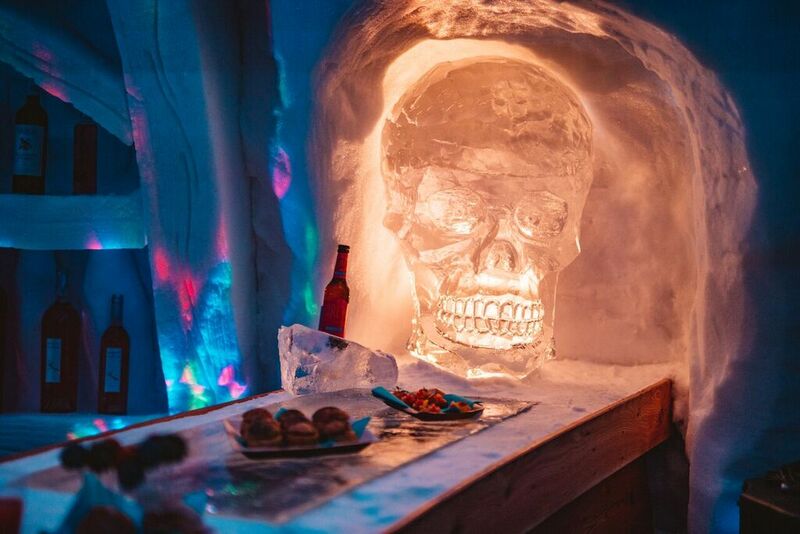 Sleep in the Village Igloo Hotel!